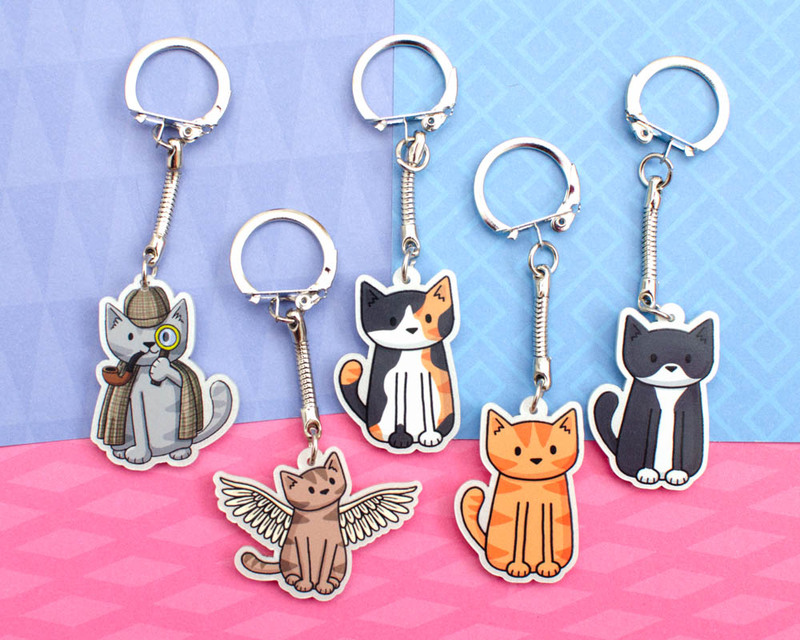 I get a lot of charms made for my DoodleBeth Shop and Doodlecats Shop so I’ve made a set of actions to make the process quick and easy. 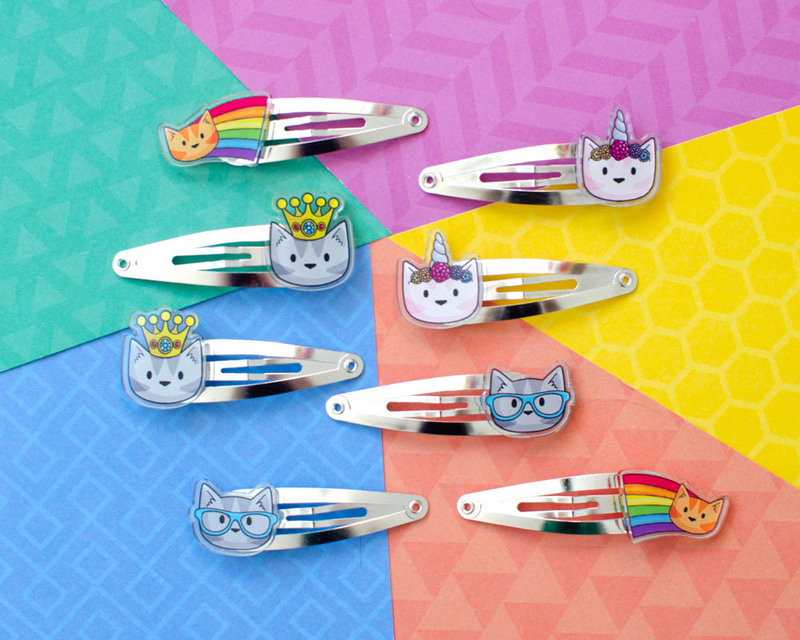 My charms are all printed by Zap Creatives. I have been using them for six years and they just keep on getting better. The Zap charm tutorials are here and I advise you read the relevant one before using these actions so you understand the layers and what they’re for. There is also info there about loops and holes which aren’t part of this tutorial. Select the Zap Actions from the download. 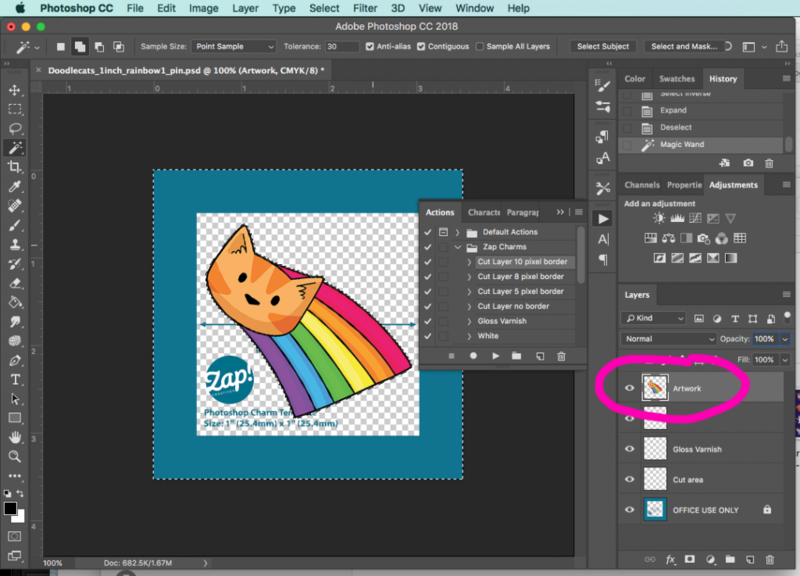 In Photoshop, open a template charm file (from the Zap Website) Add your image to the artwork layer, making sure there is space around it for a 10 pixel border. Using the magic wand, select the empty area around the artwork. Rrun the Cut Area action. There are four different cut layer options. I *always* use a 10px border around my artwork (as recommended by Zap). You must use at least 5px borders on acrylic charms. Only wooden charms can be printed with no border at all. Repeat with the other layers making sure to select the area around your art in the artwork layer each time. The gloss layer is the same size as the artwork. 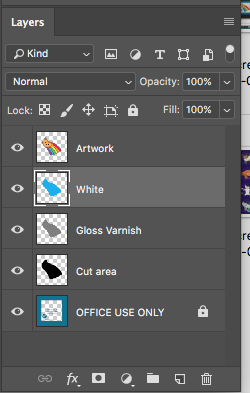 The white layer is 1px smaller than the artwork layer so that you don’t get any white poking out. ALWAYS double check your layers, I am not responsible for any errors! I recommend getting a sample printed before you get hundreds made. Here are some examples of what I have made with the charms. Tweet me if you have any questions or if there’s problems with it and I’ll try and help.